Large deployment images means a longer delay in the provisioning of nodes and so I set out to create a small, customisable image that solves the problems of the other existing images. I chose to use Buildroot, a well regarded, simple to use tool for building embedded Linux images. So far it has been quite successful as a proof of concept. Customisation can be done via the menuconfig system, similar to the Linux kernel. All of the source code for building the image is up on my GitHub account in the ipa-buildroot repository. I have also written up documentation which should walk you through the whole build and customisation process. 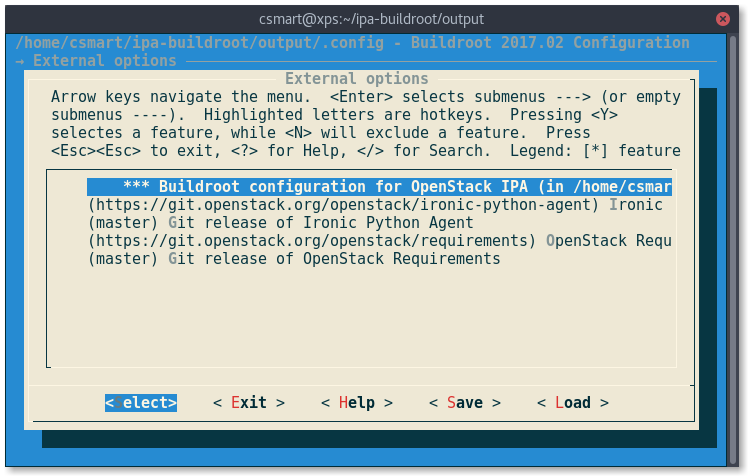 The ipa-buildroot repository contains the IPA specific Buildroot configurations and tracks upstream Buildroot in a Git submodule. 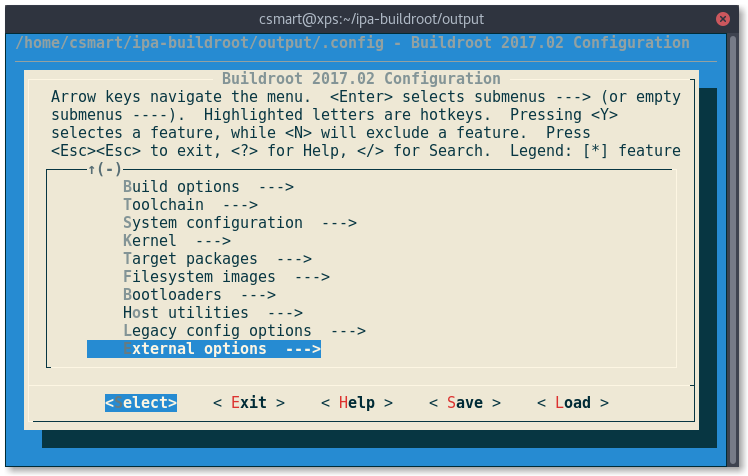 By using upstream Buildroot and our external repository, the IPA Buildroot configuration comes up as an option for regular Buildroot build. 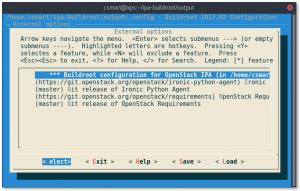 Buildroot will compile the kernel and initramfs, then post build scripts clone the Ironic Python Agent repository and creates Python wheels for the target. This is so that it is highly flexible, based on the version of Ironic Python Agent you want to use (you can specify the location and branch of the ironic-python-agent and requirements repositories). I created the kernel config from scratch (using tinyconfig) and deliberately tried to balance size and functionality. It should boot on most Intel based machines (BIOS and UEFI), however hardware support like hard disk and ethernet controllers is deliberately limited. The goal was to start small and add more support as needed. If this interests you, please check it out! Any suggestions are welcome.